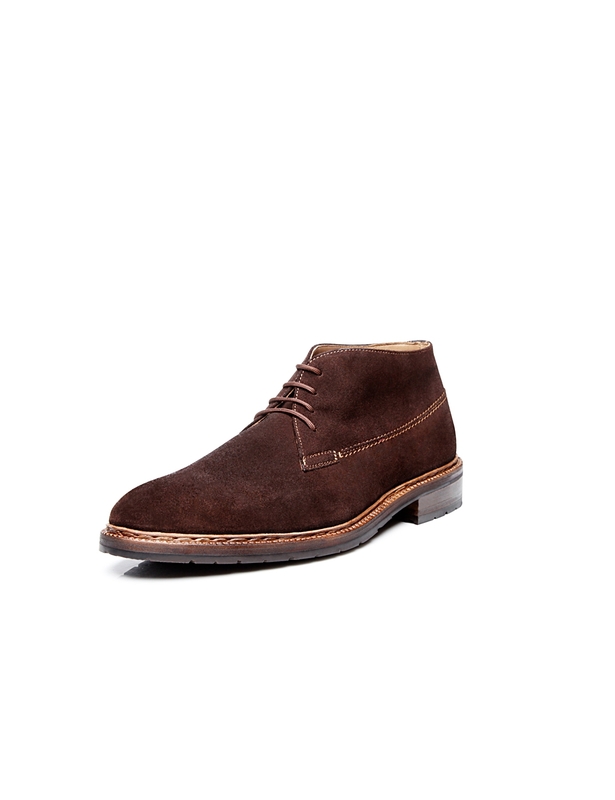 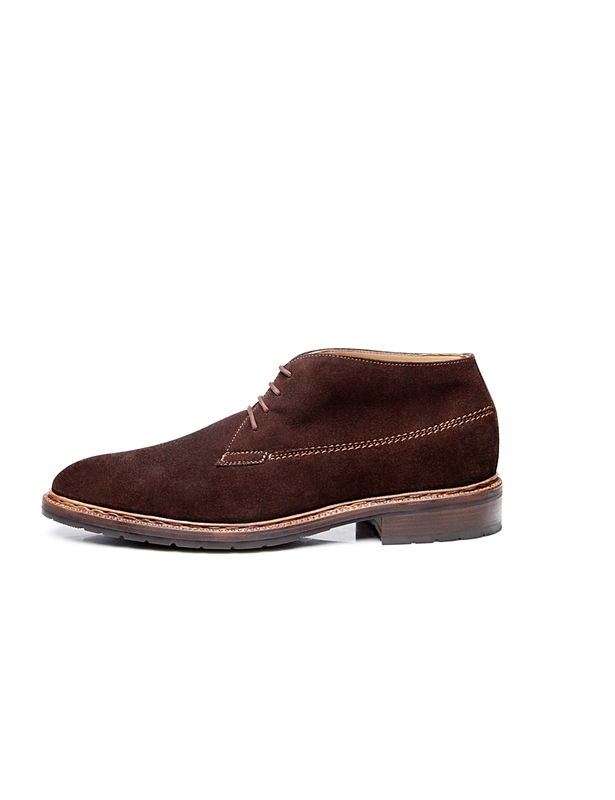 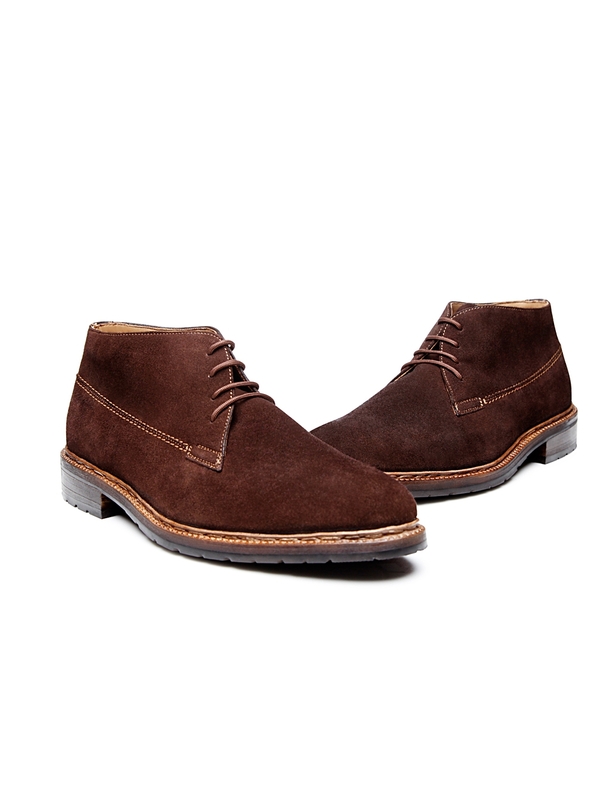 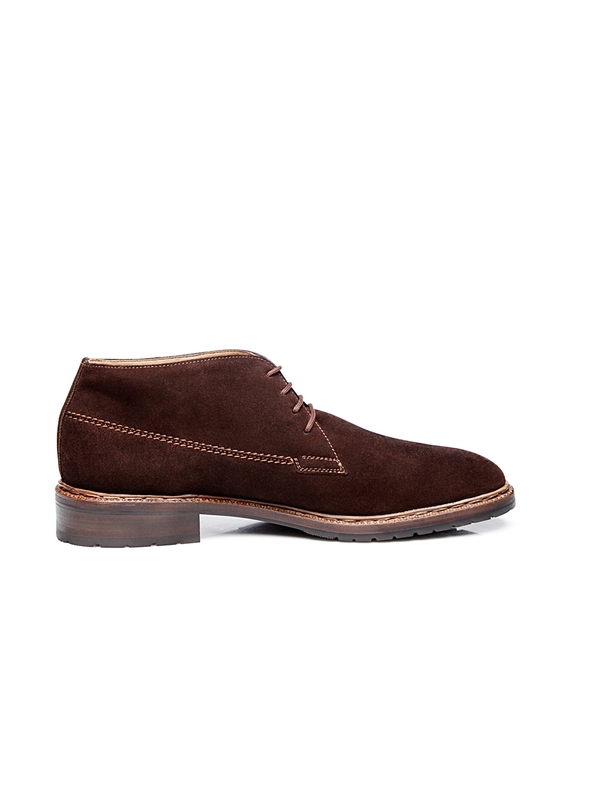 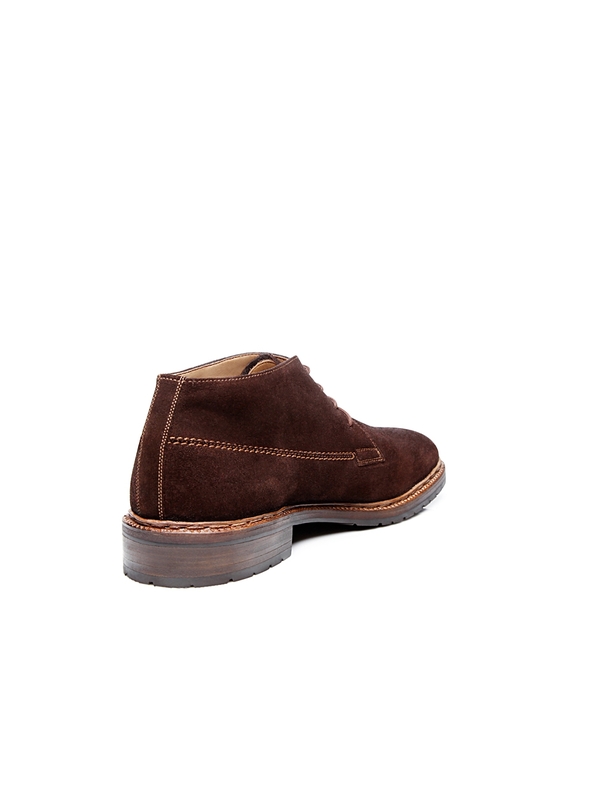 The combination of a traditional cut and soft calf velours transforms this hand-welted men’s ankle boot into the perfect complement to a modern smart casual outfit. 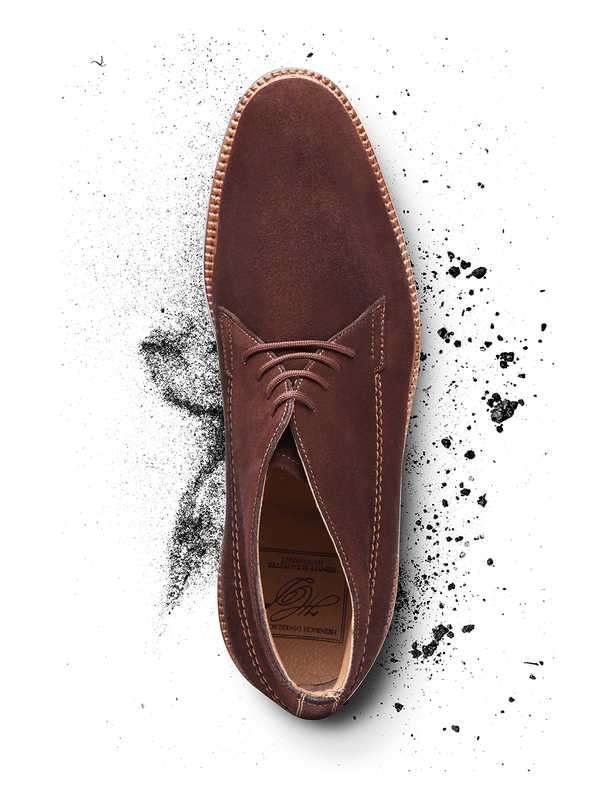 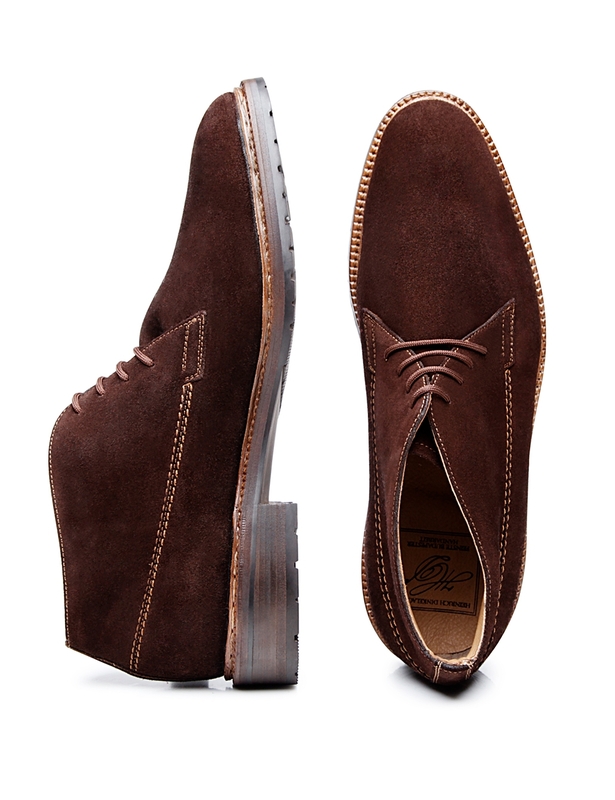 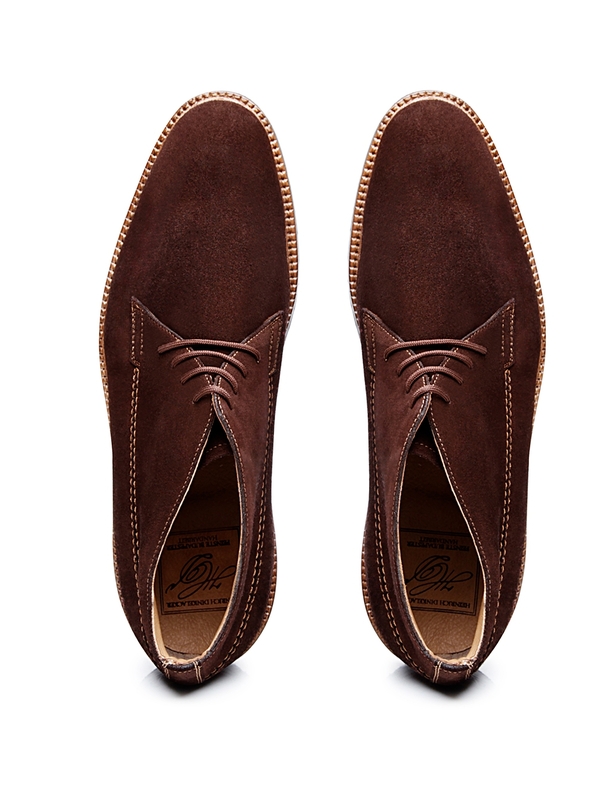 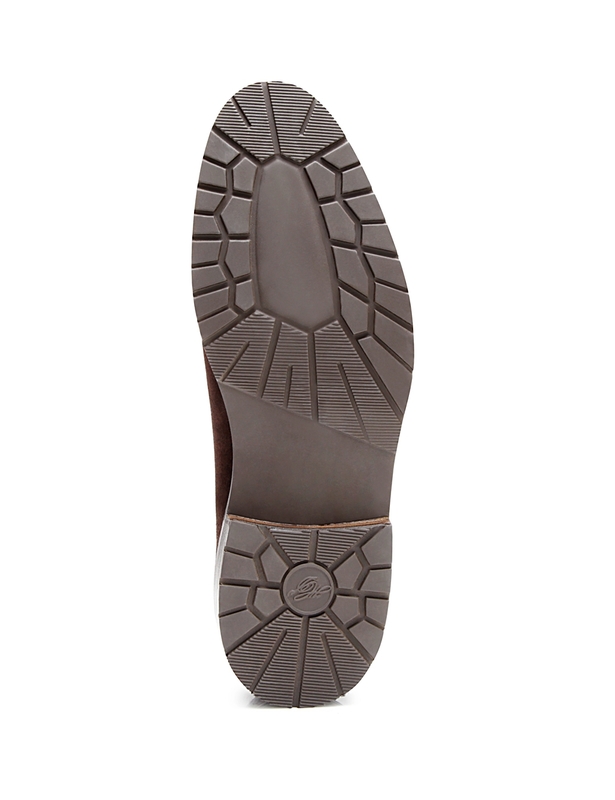 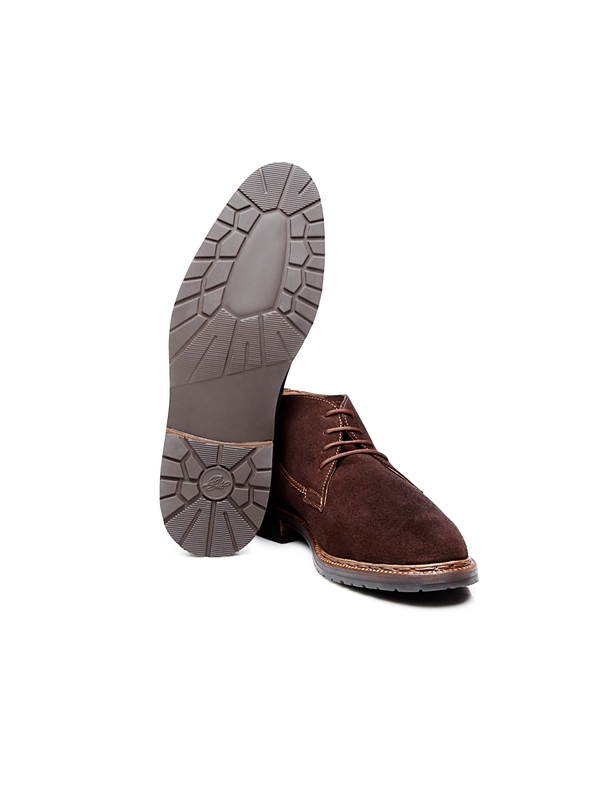 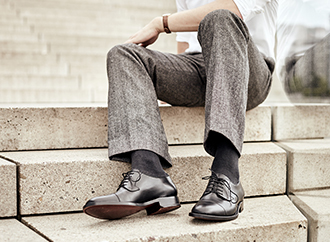 Its ankle-high shaft and open four-eyelet lacing are typical for this type of model. 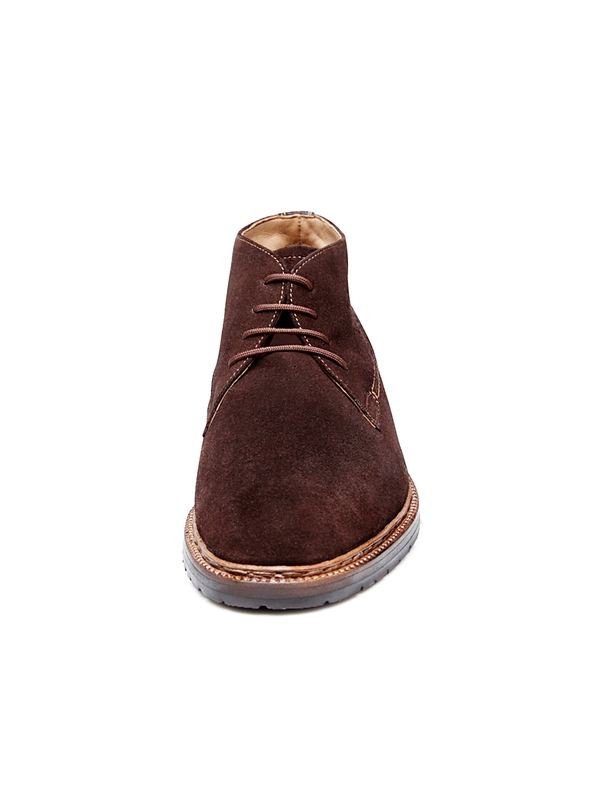 Thanks to its comfortable width and stabilizing rubber sole, this handcrafted ankle boot also scores points for practicality and comfort. 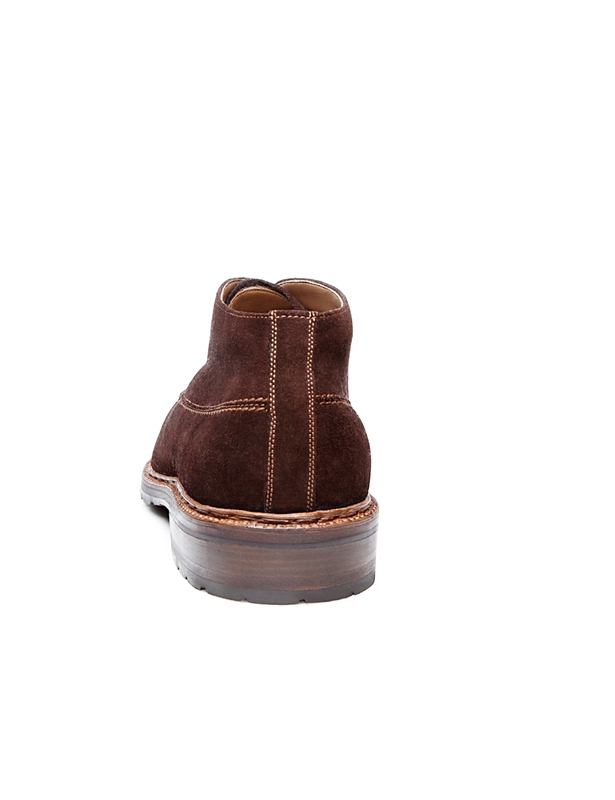 Wear this boot and be stylishly prepared for many occasions!